“That’s the good news, that didn’t happen, nobody tied my hands. In fact, the Senate in many ways embraced my specific plan,” Herbert says. But the House refused to consider the Senate-endorsed plan. Speaker Rebecca Lockhart has said throughout the session that she does not want to accept any federal dollars to expand Obamacare in Utah, and she maintains that position. But the governor says if he can get his proposal approved by the feds, he expects the legislature to embrace it. House Majority Leader Brad Dee is noncommittal. “It’s premature to say that we’d vote for any deal for any negotiation that he might have. We haven’t seen it. If he goes back to make another deal, let’s look at it,” Dee says. Healthcare advocates say the process is not over, but they are optimistic that a solution to the so-called coverage gap is coming. RyLee Curtis is a Medicaid analyst for Utah Health Policy Project. The governor says that if he is able to strike a deal in DC, he will call a special legislative session to consider it. Time is running out for the Utah legislature to make a decision on what they want to do about health insurance for low-income Utahns. There are several health reform proposals in the legislature that have yet to be approved, with only four working days left in the session. But at this point, the governor has the power to move forward with his plan, so long as lawmakers don’t stand in his way. 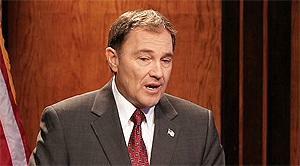 Governor Gary Herbert got some positive feedback Thursday on his plan to offer health insurance to low-income Utahns. Herbert visited a homeless health clinic in Salt Lake City and heard from citizens who do not qualify for insurance subsidies, but also do not qualify for Medicaid, leaving them in a coverage gap. 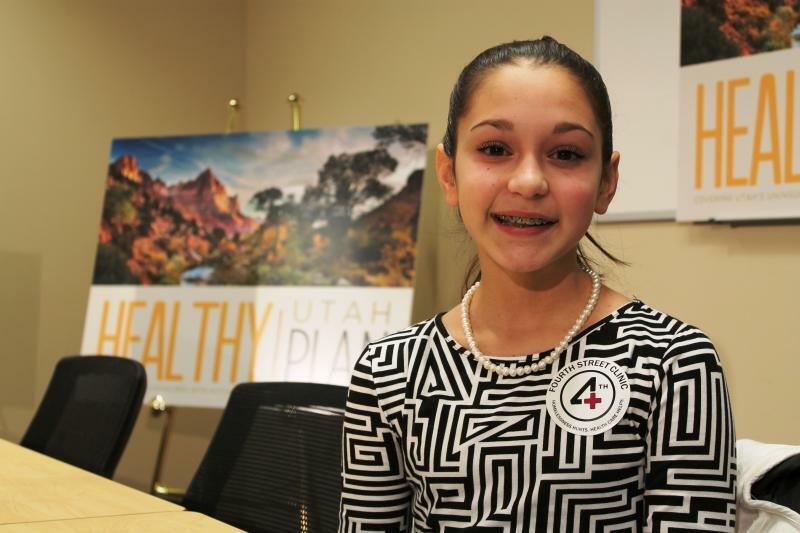 When Governor Gary Herbert laid out his Healthy Utah plan Thursday he said he was confident that it would get support from the state legislature as well as the federal government. But the governor’s proposal to accept federal money to help low-income Utahns buy health insurance may meet some resistance from Republicans in the state House…. especially the House speaker.